Japan has already begun to experience a population decline, with the result that many universities are already having difficulty maintaining their student populations, although entry into top ranks of the universities remains hugely competitive. The emerging and foreseeable trend is that many universities will have to try to attract large numbers of foreigners or diversify or face closure. It is also now said that a university education in Japan is within easier reach of students today, but that the quality of that higher education is now in question despite the many educational reforms that have been set in motion. In his book Challenges to Higher Education: University in Crisis Professor Ikuo Amano noted that the critical public is far from being satisfied with these series of reforms. The reason is that the selection process of old for entry to the so-called ‘first-tier universities’ remains fundamentally unchanged. That is, there has been nothing done to ameliorate the entrance war for entry into these most notoriously difficult to enter institutions that are at the nucleus of an examination based on numerous subjects. Furthermore, in a society that places more importance on ‘credentialization’ or labelization or branding (gakkooreki) of the name of the school from which one graduates, than on simply possessing a university education, no matter how much the selection process of the university applicants is reformed, students will continue to strive to enter a small number of ‘top-tier’ or ‘brand-name’ universities (gakureki) and the severe examination war will not disappear. In this sense, the university entrance reform is a permanent issue for Japanese universities. Universities (Daigaku) are intended to conduct teaching and research in depth in specialized academic disciplines and provide students with advanced knowledge. Universities require for admission the completion of upper secondary schooling or its equivalent, and offer courses of at least four years leading to a bachelor’s degree (Gakushi). Each academic year begins in April and comprises of two semesters. Basic general degrees are four-year degrees, a feature adapted from the American system. Undergraduate students receive instruction via the lecture and seminar group method. The general degree may be followed by two-year Master’s degrees (generally a combination of lectures and guided research) and then a three year Doctorate (largely based on research) where these are offered. Universities may set up a graduate school offering advanced studies in a variety of fields leading to master’s (Shushi) and doctor’s (Hakushi) degrees. Graduate schools normally last five years, consisting of the first two-year courses leading to a master’s degree and the following three year courses leading to a doctor’s degree. However, there is a possibility for those who are especially successful in their studies to get a master’s degree in one year, and a doctor’s degree in two years. Graduate education in Japan is underdeveloped compared to European countries and the United States with only slightly more than 7 percent of Japanese undergraduates going on to graduate school as compared to 13 percent of American undergraduates. Postgraduate educational offerings are weak and the number of universities offering postgraduate programmes or a wide variety of programmes, is small, compared to that in other industrialized western countries. Japan has about three million students enrolled in 1,200 universities and junior colleges and consequently the second largest higher educational system in the developed world. Japan also has one of the largest systems of private higher education in the world. The more-than-725 odd universities in Japan can be separated into 3 categories: highly competitive, mildly competitive and non-competitive (the schools that are first-tier being the infamously difficult to enter ones). Public universities are generally more prestigious than their private ones with only 25 percent of all university-bound students being admitted to public universities. There are more than 725 universities, including 565 private universities, in Japan(Fact&Detail 2008 figures). According to MEXT 2012 statistics, there 783 universities(Daigaku), 372 junior colleges(Tanki-daigaku), 57 technological colleges(Kôtô-senmon-gakkô) and 3,249 specialized training colleges(Senshû-gakkô). The graduation rate at Japanese universities fell to 84.6 percent in 2008, seen as sign that graduation standards were getting tougher. In Japan private institutions constitute about 80% of the over 1,000 tertiary education providers. More than 65 percent of high school graduates continue their studies; of these, over 70 percent are enrolled in private colleges and universities. Only about 10 percent of private institutions receive their financial resources from public funding, with most public funds on higher education being spent on the national and local public universities. Despite the impressive statistics, Japanese universities are considered to be the weakest link in the country’s educational system. While many western writers have, time and time again, attributed the economic success of Japan to the well-educated and highly literate population of Japan, recent writings and studies tend to be far more critical, lamenting the deplorable state and quality of higher education in Japan today. Despite the famed exam rigors and competitiveness, declining standards in education and the high school student’s lack of interest in studying have lately been under spotlight. Some attribute this disinterestedness to the fact that academic effort no longer assured automatic rewards with the disintegration in the formerly stable and guaranteed lifetime employment system. For more on issues with higher education in Japan, see Kariya Takehiko’s “Higher Education and the Japanese Disease“. In 1908, there were 5.4 million children enrolled in primary schools but only 7,500 university students. This ratio held through the 1920s. An average of 30 percent of Japanese high school graduates today go on to college (compared to 58 percent of American graduates). Once a student gets into a good university he or she has traditionally got it made. Japanese students are also widely known to traditionally consider their university days to be a social playground, a reward for the hard work and having made it there, and, as many critics have recently pointed, professors demand relatively little from their students. 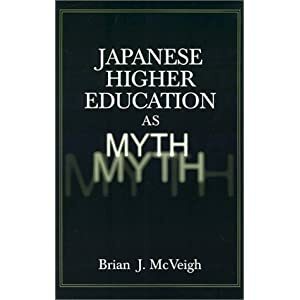 Brian McVeigh in his book Japanese Higher Education as Myth indicts the local university system as a de facto system of employment agencies or at best a waiting room before students hit the assembly line working world. However, following the many criticisms leveled at Japanese higher institutions, many changes have been instituted or are underway. In 2004, all national universities and their affiliated institutions, as well as prefectural and municipal universities became independent educational foundations (gyo-sei ho-jin), in a series of deregulatory reforms. Then, a university president has more authority to administer the university, such as determining tuition, and funds. [Source: Miki Y. Ishikida, Japanese Education in the 21st Century, usjp.org/jpeducation_en/jp ; iUniverse, June 2005 ~]. An extensive series of reforms was recently implemented in the Japanese university system, with the changes to the national university system being particularly drastic. In 2004, the 99 national universities were reorganized into 87 institutions. In addition, the national universities—which had been internal organs of the Ministry of Education, Culture, Sports, Science and Technology—were transformed into independent administrative institutions with the objective of creating a more competitive and independent environment in which the universities can introduce private sector management techniques and develop their own special strengths with respect to both education and research. In order to nurture people with the wide range of expertise needed by society, many universities have also established new specialized graduate school programs in both business and law. Universities and junior colleges are autonomous in setting their own admission procedures. In 1987, the College Council, composed of college educators and business leaders, was created to reform college education, as proposed by the National Council on Educational Reform (Rinkyo-shin). In its 1991 report, the College Council recommended the introduction of an independent evaluation system, and the expansion of graduate schools. Since 1991, each college has had the right to design its own curriculum without the requirement of liberal-arts general courses. By 1997, about 97 percent of colleges had reformed their curricula in order to attract more students and survive (Kuroki 1999:38). Top universities are also opening up affiliated middle schools and high schools in different parts of the country as a way of attracting the brightest students. Like colleges in the United States, many colleges have begun to use syllabi, evaluation sheets, teaching assistants and research assistants, as well as accepting more adult students and transfer students. More than three-fourths of colleges use student evaluations, and 60 percent enforce the “faculty development” by having professors observe each other in the classroom (AS September 19, 2003). The transfer system from junior colleges, five-year colleges of technology, and specialized training colleges to four-year colleges has been promoted. Since 1999, graduates from specialized training colleges can transfer to four-year colleges. Despite the institutional change and sweeping national reforms underway in response to these criticisms, the key problems remain unresolved: the pyramidal-structure of the university system and entrance exam wars; the centrally-controlled curriculum and lack of individuality and creativity of students as well as the lack of competitiveness in educational suppliers. 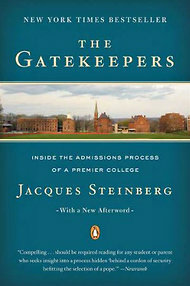 In a society that places more importance on ‘credentialization’ or labelization or branding (gakkooreki) of the name of the school from which one graduates, than on simply possessing a university education, no matter how much the selection process of the university applicants is reformed, students will continue to strive to enter a small number of ‘top-tier’ or ‘brand-name’ universities (gakureki) and the severe examination war will not disappear. In this sense, the university entrance reform is a permanent issue for Japanese universities. · Private providers may employ different screening procedures than public universities. More universities have begun to admit students using a combination of interview, essay and tests. However, admission by a one-shot examination is still the primary method. Students take the exam in January, find out the results a few weeks later and enter university in March or April. An increasing number of universities are recruiting students ahead of the traditional entrance exam season, with some receiving acceptances. Using the so call ed AO (admission office) exams, students are selected with interviews ands essays rather that written exams with students chosen for the program based on recommendations from principals. In 2006, 45 national and other public universities and 380 private universities (70 percent of all private universities) held such screenings. Although scholars’ outlooks are gloomy, the picture is not all bleak and dark, for example, graduates of colleges of technology receive high reviews from the industries that their rate of employment is almost 100%. Of late, apart from working upon graduating, more and more students are opting to further their studies in the major programs or transfer into the universities (the third year of the university programs) Source: JASSO Study in Japan Portal page. A panel has recently proposed reforms to the university entrance exam, to introduce written answers and essays, instead of the current standardized multiple-choice test formats. Classes are usually divided into semesters, lasting through the first semester (April – September) or the second semester (October – March). Students normally enroll in April, but some universities permit students to enter at a different time, such as in October. There are usually three long vacations at Japanese institutions of higher education during the academic year: the summer break (late July – late August), winter break (late December – early January) and spring break (late February – early April). Are we spoiling our kids with too many college options? Are your kids Oxbridge material? Bound for Australia? Which tests of English proficiency are required to qualify for student visa approval? Can the virtual classroom replace college? Gettin’ yer kids into college – Japanese U. Is College still your kid’s best option? Japan Today on admissions interview of Akita U. ‘Learning commons’ introduced at Doshisha Univ. OECD calls for reforms of J universities – but are they the right reforms? So you want to be a teacher? Spotlight on teacher training colleges in Japan. Sussing out information for a sociology degree course? Universities turning to quarter system – what’s the difference between semester and quarter systems? Why can’t Japanese kids get into Harvard? The truths and myths about getting into the top schools from a private college counselor who has placed 75 percent of her clients in the Ivy League, as well as the most competitive colleges in the country. Now, for the first time, Dr. Katherine Cohen offers her successful program in a book complete with worksheets, timelines, and checklists that help students demystify the college admissions process and get into the school of their choice. 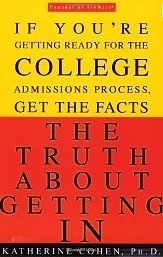 Divided into chapters that cover everything from what courses to take in high school to how to ace that all-important interview, this book will become the college admissions bible for both students and parents alike. Towards a Clearer Understanding of the Socio-economic, Socioeducational, and Socio-political Role of Higher Education in Japan by Alan BRADY, Kiyoshi ABE, Joe TAKEDA, Brent POOLE Oct 2003 paper presented at the International Conference for Teaching and Learning in Higher Education held at the University of Aveiro, Portugal, April 13－17, 2003.